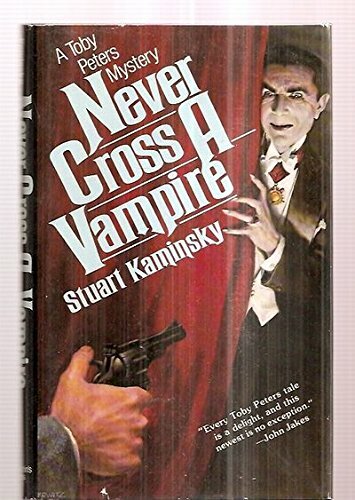 Home Kaminsky, Stuart M. NEVER CROSS A VAMPIRE. Title: NEVER CROSS A VAMPIRE. Hollywood 1942: detective Toby Peters agrees to track down whomever is sending death threats to Bela Lugosi. The case deepens when William Faulkner is accused of shooting an agent, and Peters realizes he must find the elusive connection between the two cases--before the death threats become all too real.